Auspicious: Having omens of success. 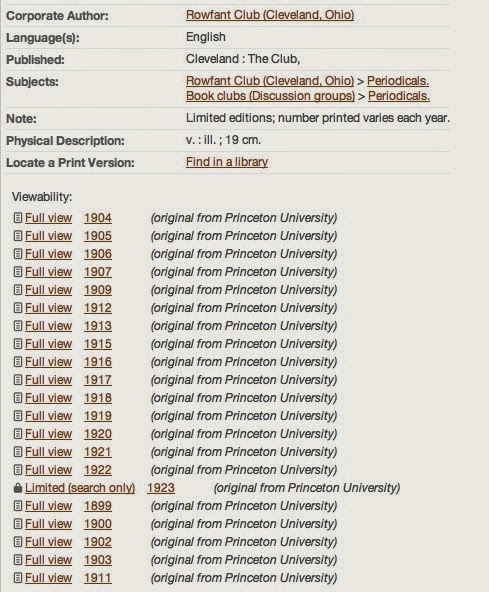 I love researching the provenance of my books. And I'm usually researching the names of the former owners of my books. But in the case of The Wish, I already knew the name of the former owner: Charles Shackleton. What I did not know was the name of the person who had given Shackleton the book. This person signed "his name" on the front free endpaper. I knew even before I bought it that it would be a challenge to identify this person. I just didn't realize how much of a challenge! I acquired it in June 2011 during my first and only visit to Booked Up in Archer City, Texas, Larry McMurtry's town of books, at the time, America's answer to Hay-on-Wye. 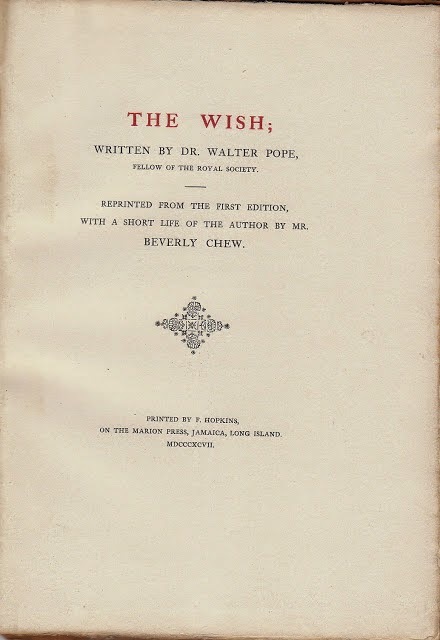 The book included a short life of the author, written by the New York bibliophile, Beverley Chew (1850-1924). And I wanted something written by Chew in my library. Charles Shackleton (1856-1920), an artist from Cleveland, was a member of the Rowfant Club . And J. S. W. – John Southwell Wood, (1853-1921) – the person who accompanied S— to Jamaica, Long Island on Feb. 8, 1902 to meet with Mr. Hopkins at his Marion Press, was a member as well. I suspected that S— was a New York bibliophile who was giving the two Rowfant Club members a bibliophilic tour of New York. I thought S— could be the bookman George D. Smith. 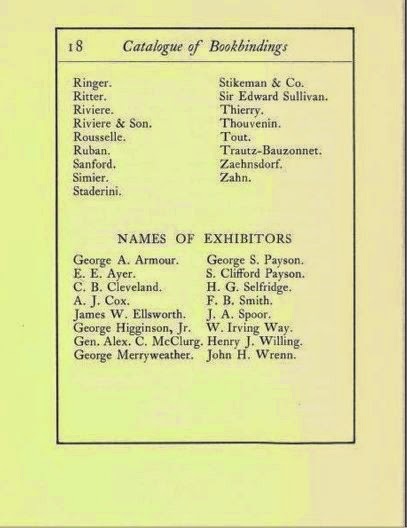 Smith, however, used the initials, G. D. S. More than likely S— was a member of the Grolier Club. 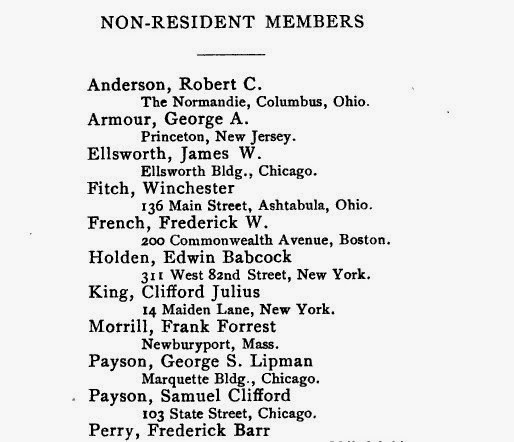 And by my count from the 1899 Member List, there were at least 18 resident members of the Grolier Club and 10 non-resident members whose last name began with the letter "S." And there were 11 resident members and 3 non-resident members whose first name began with "S." But I could find nothing in my initial research that any of these members signed their name as S—. As a sign of the times, however, there were 12 resident members and 2 non-resident members who used an initial instead of spelling out their first name, with A. Edward Newton being the most famous of all of them. 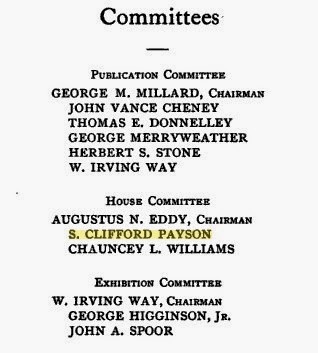 But none of these 14 Grolier Club members had a first name which began with the letter "S."
Norman Kane, who passed away last year at the age of 88, had bought the remaining Marion Press stock from the estate of Hopkins' son-in-law, and "subsequently sold a ton of books to Larry [McMurtry]." My copy of The Wish, however, was not part of the remaining Marion Press stock that went to Texas. S— had given my copy to Shackleton back in 1902. The Wish was one of ten books I bought in Texas in June 2011. I made mention of it and my research of S— in my blog post for that month: Ten Books From Texas And Two Reminiscences. And then I put my research of S— on the back burner. But it didn't stay there for long. I was poring over my books in August 2013, selecting choice passages for that month's blog post, Elegant Extracts About Books, Booklovers, And Libraries. And when I opened my copy of A Shelf In My Bookcase, by Alexander Smith, and looked at the front free endpaper, I had a sense of déjà vu. S— added a period to his name. But the handwriting was the same. The "J" in "John" matched the "J" in "Jamaica." The "h" in "John" matched the "h" in "Shackleton." The "d"s in "Riddle" and ""friend" matched the "d" in "kind." And the S— matched in both handwriting samples. John Quinby Riddle (1835-1912), a successful Cleveland businessman, was a member of the Rowfant Club as well. Since Shackleton, Wood, and now Riddle were Rowfant Club members, I thought maybe S— was also a member of the Rowfant Club.. 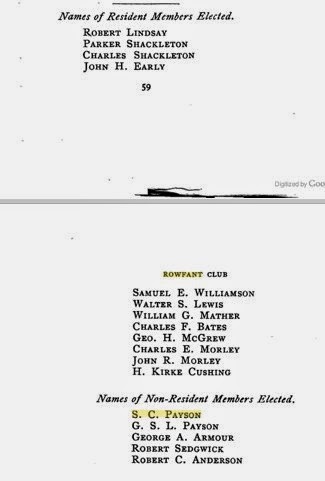 There were 9 resident members of the Rowfant Club in 1902 whose last name began with "S" (not including Charles Shackleton) and 3 resident members whose first name began with the letter "S." Surprisingly, there were no non-resident members whose first or last name began with "S."
I was able to narrow the list of "possible suspects" down to three: Edward Tracy Scovill (joined 1894), Andrew Squire (1893) and Ambrose Swasey (1896). Yet, I could find no evidence that any of the three signed his name as S—. Ambrose Swasey was no stranger to me. 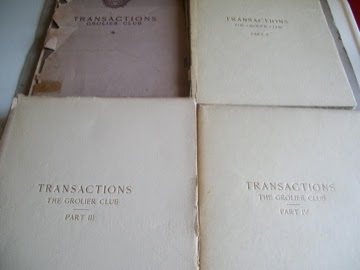 I have his signed copies of the Transactions of the Grolier Club in my own library. Ambrose Swasey (1846-1937) joined the Grolier Club in January, 1918. 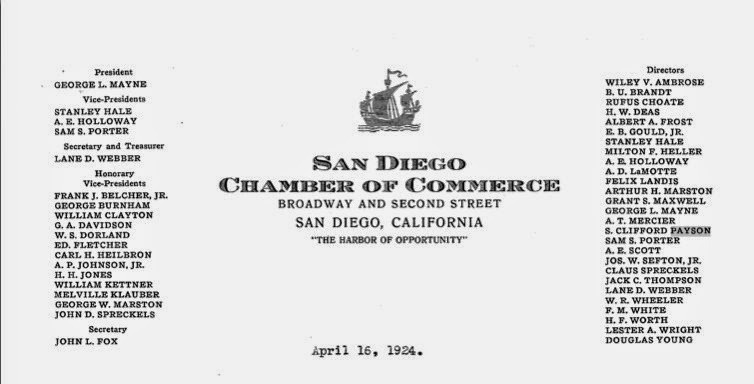 He acquired Parts II and III of the Transactions of the Grolier Club on Jan. 31, 1921, Part IV on Mar, 28, 1921, and Part I on Nov 9, 1926. 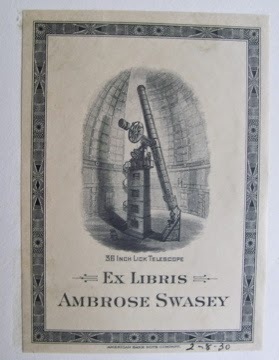 He pasted his bookplate of his invention, the Lick Telescope, in his books on Feb 8, 1930. When I looked at Swasey's "J" and "S," they were significantly different than the "J" and "S" inscribed by S—. Ambrose Swasey was not the bookman who signed his name as S—. I then queried the Rowfant Club, hoping they could match my inscriptions to writing samples from the early 1900s in their archives. But that lead didn't pan out. S. Clifford Payson originally from New York, moved to Chicago in 1886 and started working for the railroad in 1904. He became a member of the Caxton Club in 1895. 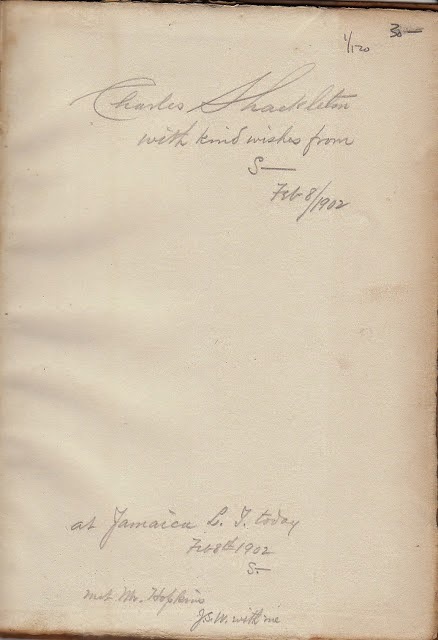 When he gave Shackleton a copy of The Wish, he was a non-resident member of the Grolier Club, listed under his full name, Samuel Clifford Payson. 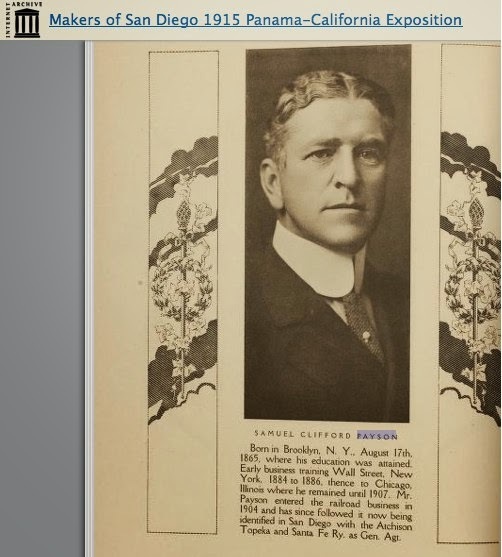 Except for the possibility that he may have played tour guide for Shackleton in New York in 1902, I could find no connection between him and either Charles Shackleton or John Q. Riddle. I then queried a friend in the Caxton Club, hoping the Club archives had a sample of S. Clifford Payson's handwriting to compare. And when that lead didn't pan out either, I put my research of S— on the back burner again. But I could now see a light at the end of the tunnel. Fast forward to May 2014. 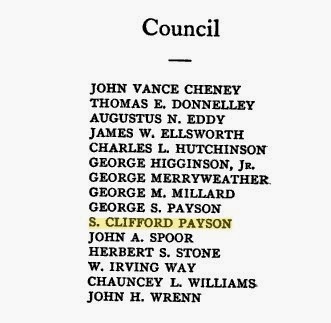 I was almost certain that S. Clifford Payson was the person who signed his name as S—. All I had to do to prove it was to to find a connection between Payson and either Shackleton or Riddle. 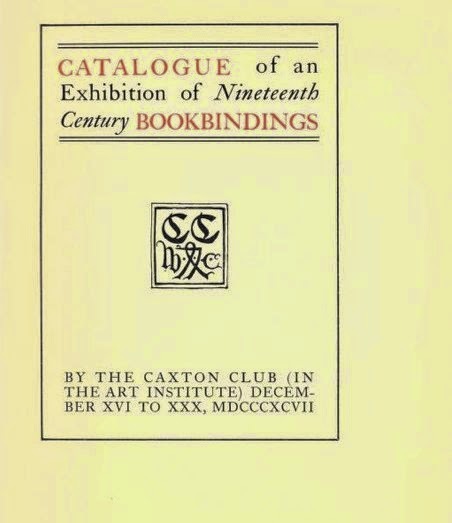 There are 20 early year books of the Rowfant Club available for full viewing online at the Hathi Trust Digital Library website. And the names, S. Clifford Payson, Samuel Clifford Payson, or S. C. Payson are not listed in any of these year books. 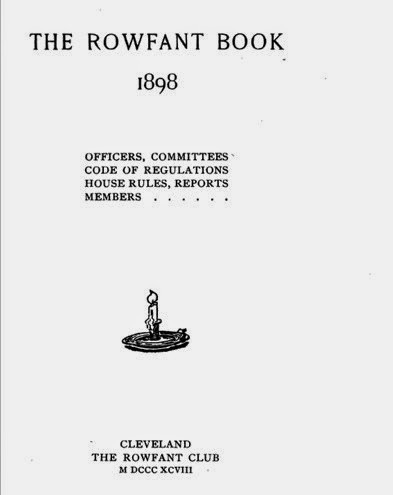 But the earliest year book listed on the Hathi Trust website is from 1899. The Rowfant Club, however, was founded in 1892. Was it possible that S. Clifford Payson became a member of the Rowfant Club before 1899 and then quit? Highly unlikely. But not impossible. And then I found The Connection! Charles Shackleton and S. C. Payson were elected together as Club members in 1898! There was another Payson who was elected a member of the Rowfant Club in 1898; the same time that S. C. Payson was elected: George Shipman Payson. His name, however, was mispelled in the 1898 Year Book, first as "Payson, George S. Lipman," and then as "G. S. L. Payson." I believe George Shipman Payson (1862-1943), born and raised in Chicago, was S. Clifford Payson's cousin, and his sponsor in both the book world and the business world. George S. Payson was a founding member of the Caxton Club (S. Clifford Payson joined the Caxton Club shortly after the club was formed in 1895). Christopher de Hamel, in his June 2005 Caxtonian article, "Single Leaves," credits George Payson with suggesting the club be named after William Caxton. 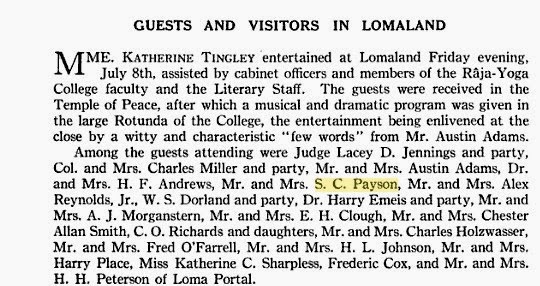 Also in 1895, both S. C. Payson and G. S. Payson were elected as American Candidate Members of the Bibliographical Society in Great Britain. 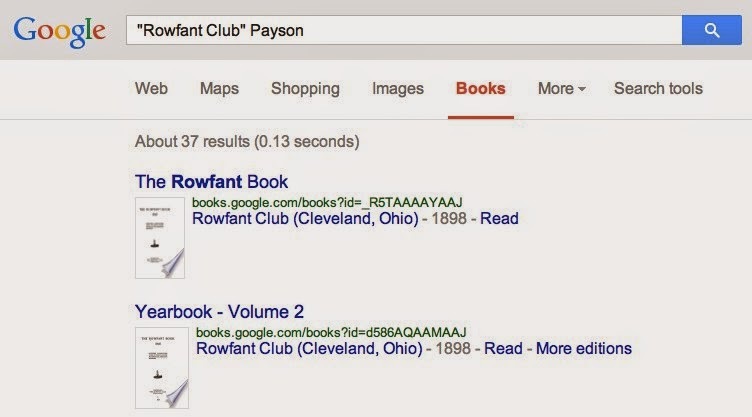 For unexplained reasons, both Paysons were members of the Rowfant Club for only one year: 1898. Were George Shipman Payson's feathers ruffled when the Rowfant Club misspelled his name in the 1898 Rowfant Club Year Book? 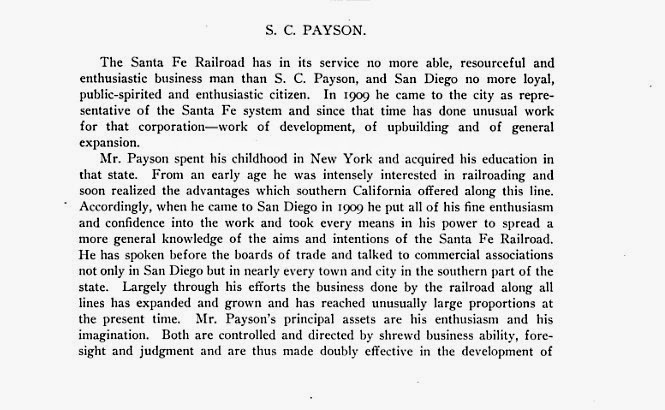 George S. Payson was a Yale University graduate, and a lawyer who became General Counsel for the Western Railroad Association in January, 1894. His father, George Payson (1824-1893), held that very position for almost 20 years until his death from pneumonia on Dec. 1, 1893. 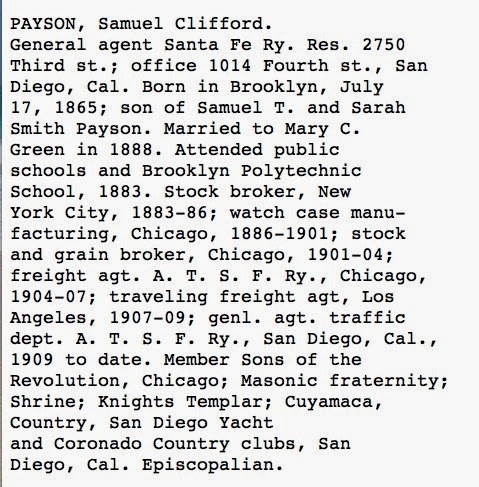 I believe George S. Payson used his considerable influence to help his cousin, S. Clifford Payson, obtain a job as a freight agent for the railroad in Chicago in 1904. 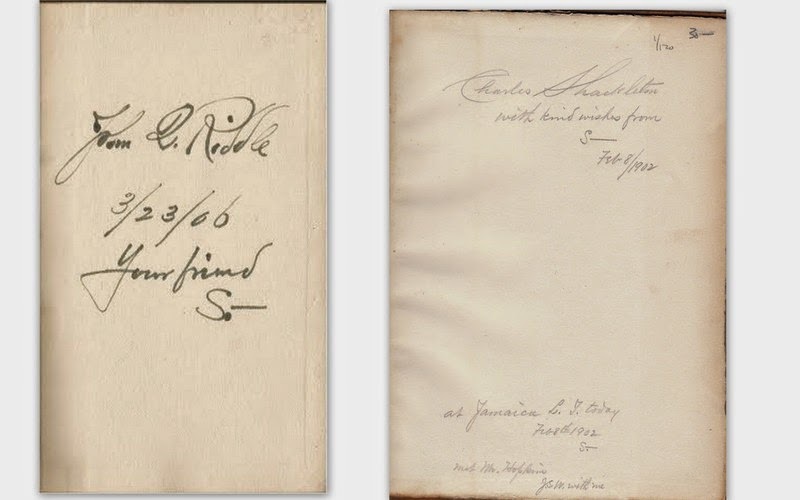 The books S. Clifford Payson gave to Shackleton and Riddle were books printed by private presses. 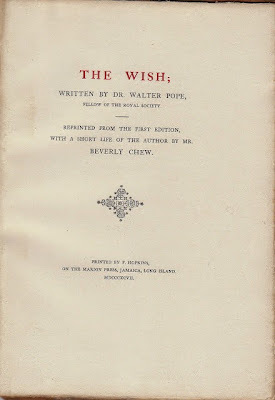 The Marion Press reprinted The Wish, which was first published in 1693 and was a favorite of Ben Franklin. The Torch Press privately printed A Shelf in My Book Case, an essay from Dreamthorp: A Book of Essays Written in the Country, first published in 1863. Dreamthorp was a favorite of A. Edward Newton and Christopher Morley. The bookseller's ticket of The Burrows Brothers Company, Cleveland is pasted on the rear pastedown of A Shelf in My Book Case. And I wonder if Payson bought it there while on his way to visit Riddle in 1906? S. Clifford Payson's job as a freight agent could have reunited his friendship with Riddle, who was vice-president of the hugely successful and nationally known Lockwood Taylor Hardware Company of Cleveland. 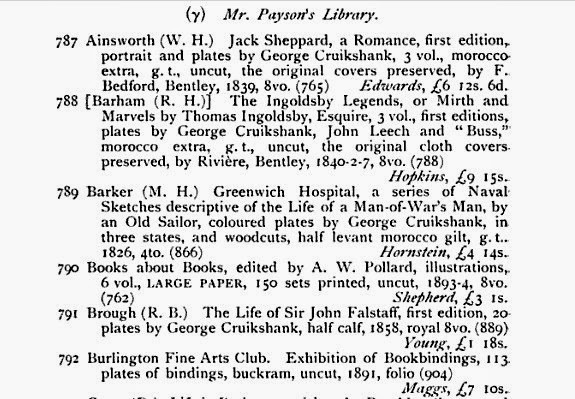 I also wonder if S. Clifford Payson discussed his Cruikshank Collection with Charles Shackleton, an artist, himself? 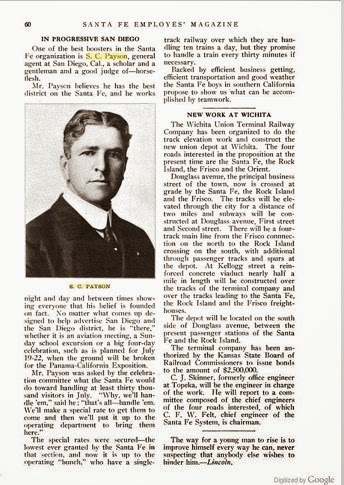 When S. Clifford Payson started working for the railroad in 1904, he decided to make the railroad his whole life. And, surprisingly, book collecting was not part of it. 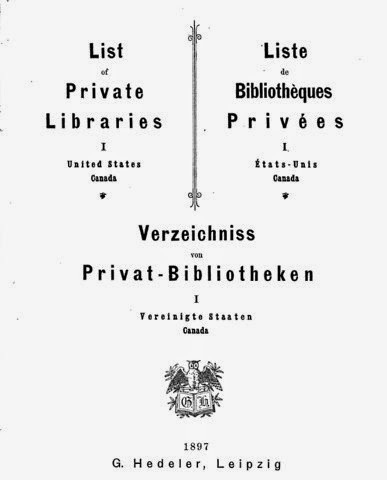 When the person who signed his name as S— sold his library in 1904, he no longer considered himself to be a bibliophile. 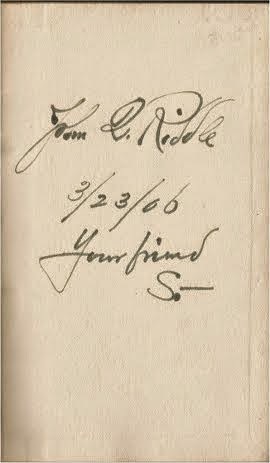 The only book-related event afterwards was when he gave his friend, John Q. Riddle, a book in March, 1906. There is no mention of books or book collecting in any of his later bios or notes about him that I found on the web. And so ends the biblio-sleuthing of the person who signed his name as S—. 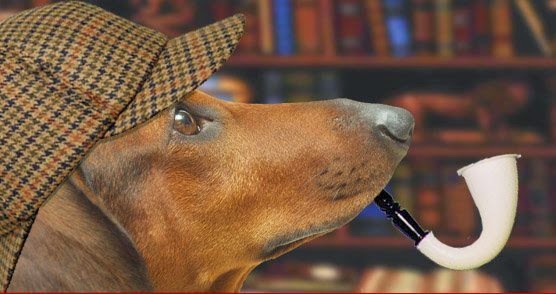 I thank my friend Asta for finding the image of the pet detective. And I thank the people at GetMyCat.com for allowing me to use the image from their website.